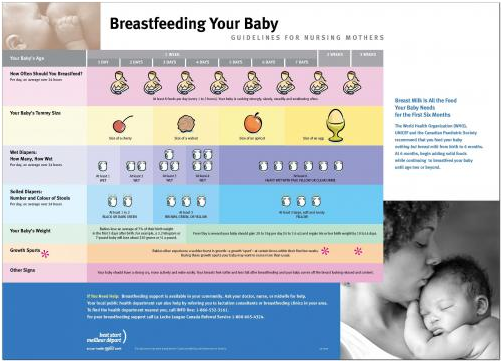 This colour poster provides information on feeding frequency, infant tummy size, output, weight, growth spurts and general assessment of the infant within the first three weeks. It is a great teaching tool for providers working with new or pregnant mothers and their families. Size: 61 cm x 44 cm or 24" x 17"